I mean, who would be crazy enough to give 24 AP to the swedish RR ? 16AP would have been neat though. The pen was 800mm, right? Yup, it's a tandem charge. Either the same round or a round very similar to it fitted in the Ikv 91, which also had quite a good FCS. Sweden should have absolutely god-tier tank killing potential at 1750m, although admittedly you'd need to create a new Ikv m/84 so that the current cat C one doesn't get moved up a category. FrangibleCover wrote: Yup, it's a tandem charge. Either the same round or a round very similar to it fitted in the Ikv 91, which also had quite a good FCS. The m/77 ammo had 500mm of pen which translates to 17AP so the IKV 91 would still be decent. Of the 13 or so comparisons he posted, at least 10 of them I have no friggin clue what he means to compare or what the problem is. Really pointless to try to use comparisons when you defeat yourself in the process. You're showing me a 5 point difference unit where the unit that is 5(5 points dude, reality check) points higher has advantages over the 10 point unit and vice versa basically down the entire line of spammed images that are for the most part self explanatory. It seems like the true underlying issue here is Razzmann and the other guy's idea of balance and mine. I don't think true balance is achieved by copypasting units across the board and having an issue with very minor details changed across units. It's also dishonest to cherry pick units on crappy, outdated nations(Yes, the Nordic countries are outdated besides support) and compare them, that's not to say every unit exampled was from a crappy our outdated nation. Nor does that mean every single example was flawed. I could easily make these pictures with Eurocorps, Israel, Yugo, even Nordic countries, the US, and USSR in reference to support pieces for the latter and almost all unit types for the former 3.
Who suggested or implied that? Many units can be balanced by price changes alone and those who cannot (mostly infantry) can get changes in their stats without being a clone of anything. Asymmetric balance should not be having a red (blue) unit be better than their blue (red) "counterpart" for the same price (or just as effective while being cheaper). Go ahead and show me how OP Finland is as a nation, and not how garbage old forgotten nations are, and don't worry about Israel/Yugo they're just fine. Nitpicking 5 point differences with those 2 nations in the game. It's really just a greedy grab, you're trying to take things that simply don't matter out while we're talking about units that are an issue. If there's a unit that is literally copy pasted and cheaper, sure in theory adjust it, but what you're failing to do is look at the bigger picture, not every nation is a jack of all trades and not every nation should be just as efficient as the other in every aspect. As I said earlier, I don't think every example you guys say is bad, there are definitely units that have issues even the cheaper ones just do not make sense, however you're overreaching and posting units you're saying are OP when if you look at it from a balanced perspective, you see differences and advantages/disadvantages on both side. Which one comes out ahead, it's still a very minor comeout and can vary in the situation in most cases you are posting. Change unit prices to maintain 100% per-unit basis in terms of cost/efficiency. What this does is make it so no nation has any edge over another in terms of efficiency, it balances the game from a small scale perspective and not a total picture perspective. Obviously this should be done with most units, but what happens here is you now have an argument over many smaller, cheaper units and even more expensive ones as to what is truly more efficient. We're not talking units with a 1:1 copy, you're complaining about units that have tradeoffs on both sides and now someone has to argue what is more 'meta' and should be more expensive than others..
Shika wrote: and don't worry about Israel/Yugo they're just fine. You bring that up again, but barely anyone says that. Unless you can prove that more people complain about Finnish units than Israeli ( Yugoslav ones. 5 points can be a lot when it is 50% of the units price - or 33%. That is what coalitions are for. Shika wrote: Change unit prices to maintain 100% per-unit basis in terms of cost/efficiency. What this does is make it so no nation has any edge over another in terms of efficiency, it balances the game from a small scale perspective and not a total picture perspective.Obviously this should be done with most units, but what happens here is you now have an argument over many smaller, cheaper units and even more expensive ones as to what is truly more efficient. We're not talking units with a 1:1 copy, you're complaining about units that have tradeoffs on both sides and now someone has to argue what is more 'meta' and should be more expensive than others..
That is not exactly how it works. What you said would be true if every tank in the game could substitute another tank. Just because the Strv 121's and the M1A2's prices are both perfectly fine (whether they are or are not in the game right now is irrelevant), does not mean they are equally good. The pure existence (or absence) of one of them is already a characteristic of a nation / coalition. Just like the distribution of stats. 100% perfect balance will never be achievable, nobody said that. But prior to the Israel DLC, I'd personally consider Commonwealth and Eastern Block for example pretty balanced compared to each other. A powerlevel all coalitions should be. Yet they have completely different units. If that was possible back then, I don't know why it should not be right now. Also I like you talking about the bigger picture, when you talk about Finland but apparently ignore Baltic Front is a thing. Maybe you should take a deeper look into stats and do some actual tests then. Honestly I don't know how to procede when I've countered points you say in earlier posts that you either do not read or don't understand what I'm saying. Your last point is the exact problem I have with communicating with you, and I'm going to say something I said earlier multiple times with regards to these 2 units. I'm not trying to be mean, it just seems like you don't understand how units differ. I know you'll respond with something to the effect of "well now I'm right" but the problem here is you don't seem to read or comprehend what I'm explaining to you, your idea of balance is so static and one-sided and I've explained to you multiple times how that's bad. If you idea of a units worth is fighting point blank in a forest when one is geared for longer range combat in terms of AT and anti infantry, and one is geared towards close range, then why should I bother? I've told you this like 3 times now and every time it is completely ignored. I'll at least explain your fault here in one post highlighting it. One unit is made with a superior AT capability and MG range for longer fights, one is made for a close in infantry vs infantry situation. 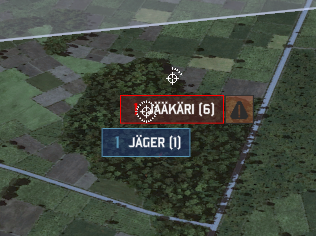 I never once said Jääkäri will lose to jäger in a forest, I have told you that they are made for seperate purposes, and youäre showing them used in 1 way and saying the entire unit is superior which is completely dishonest because it highlights their advantage and not the other unitäs advantage. As for the upcoming retort of 1 being more meta, refer to my previous post. So you are telling me that infantry fights outside of towns and forests are relevant. Besides, Jäger have literally the same stats against infantry as Gevaermenn '85, which also have the same AT weapon as Jääkäri '90. 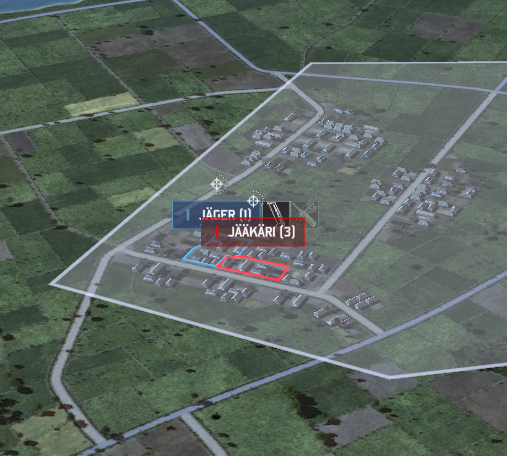 Razzmann wrote: So you are telling me that infantry fights outside of towns and forests are relevant. Either way talking to you is pointless further. Wew Lad, I was wondering when you would show up again. I am going to have to ask you to provide evidence for your assertions, especially since you are arguing that line infantry should not be compared in their forest and city fighting capabilities (because line infantry never face each other in those situations (this is sarcasm by the way, in case your observational abilities are so lacking that you do not notice it)).